Finally, it has dried out. I can walk in the vineyards and my back yard without worrying about sinking into a puddle. Since my last update we have still had several more storms however it has not been everyday and we have at last seen a return to sun which gave us a few weeks of normal summer weather. Despite this, the humidity has stayed very high and has caused growers to continue to be on their game with fungus sprays. Downy mildew has been widespread this year. This week brought many storms as a cold front moved through and now our forecast says nights in the 50s with highs in the 70s over the next week or so. Luckily it is supposed to be relatively dry over the same period. If this continues it should make up for the crazy rain from earlier in the “summer”. 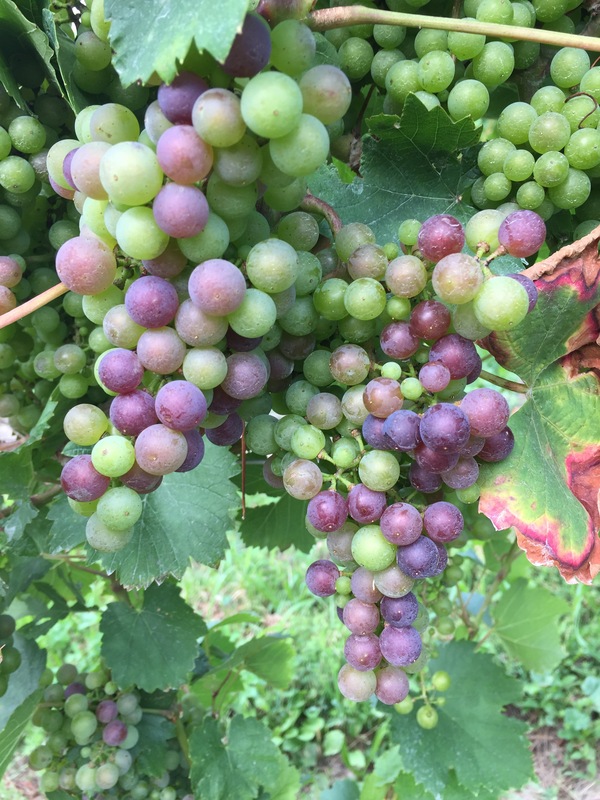 The reds are just now going through veraison but many of the white hybrids are within a few weeks of harvest. We are starting our Aurore harvest tomorrow for sparkling and we will continue almost constantly until mid-October. The vinifera is very exciting this year with the cool nights. It should be a beautiful year for acid assuming the rest of the fruit is clean. 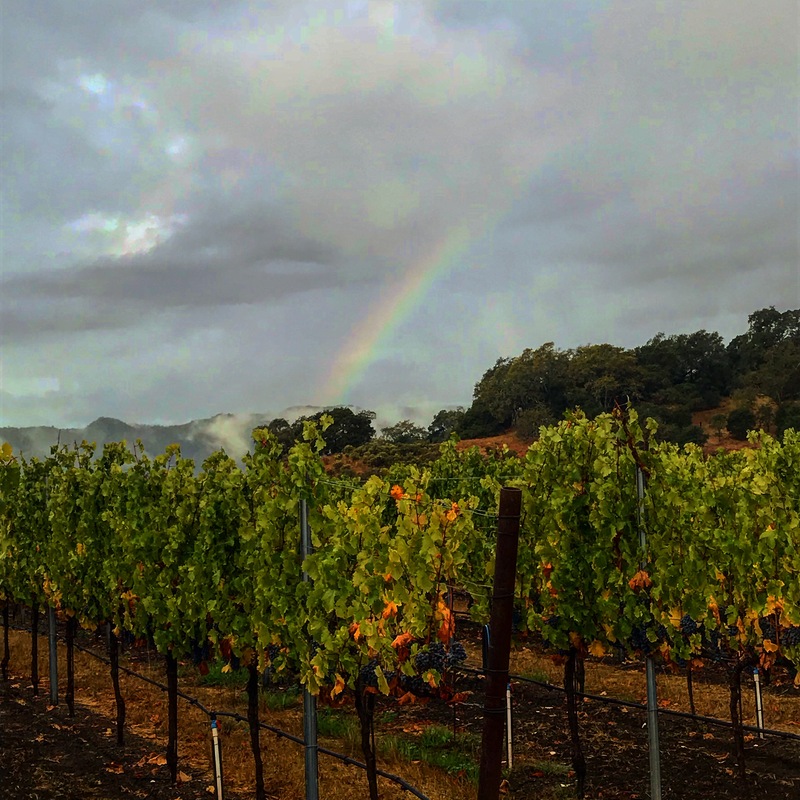 If we get a moderately warm September with low rainfall and cool nights, this vintage could be spectacular. It is still too early to tell but the vines are healthy. I’m getting ready to crush Blaufrӓnkisch (Pronounced Blaw-fraan-kish) for the first time for the 240 Days Project. I’ve never worked with this variety but I’m extremely excited about it for the Finger Lakes. It is an Austrian variety, mainly grown in the Burgenland with characters similar to Syrah but with a Cabernet-like structure. Most of the local wineries call this variety Lemberger and many cite Blaufrӓnkisch’s challenging pronunciation as the reason to do so. I have my own thoughts on this since we haven’t found another name for Gewürztraminer (Ge-vurz-tra-meen-er) yet and goodness knows that one is equally challenging. Blaufrӓnkisch is a deeply colored variety that ripens a week to week and a half ahead of where Cabernet Franc ripens, making it very appropriate for our short growing seasons. In anticipation of the small but fun project, I’m going to do something else I’ve never done; I’m going to ferment it in barrels. That has necessitated me purchasing coopering tools, pictured below. These will help me remove the hoops and heads then retighten the hoops in order to be able to stand the barrels on their remaining head and dump in the harvested fruit. 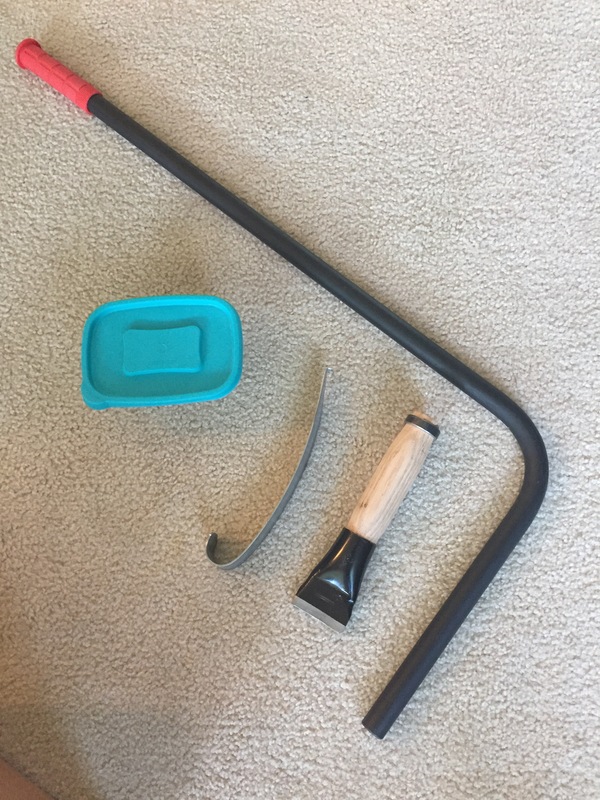 Barrel Wax, Head Tool, Hoop Hammer, and large L shape is a Head Holder. This is something I had always wanted to do with the To Kalon fruit in Napa but we never got around to trying it before I moved. I think the roundness of the palate of the Blaufrӓnkisch and the spicy character will pair nicely with the natural structure and complexity of an oak fermentation. There will be challenges since these will need to be punched down rather than a pump over. The early cap work I usually do during a red fermentation will be much harder. I am considering getting a wader and punching down by foot but we’ll see. Today, I’m off to China for the final trip of the Ningxia Winemaker Challenge. On August 29th we all find out how we did over the past two years. This has been an incredible experience and one which I will remember forever. I can’t wait to find out how the wine is received. Seriously, we are good. Last year was a drought year for the Finger Lakes but this year has been one of the wettest on record. Upstate NY had the wettest March and April ever on record according to National Weather data. Just in the past 30 days over 10 inches have fallen. For the last 90 days we are between 8-12 inches above our normal average. Weather data for July 25th, 2017 90 Day departure from normal. So you see that little purple blob in the middle of the map? That is where I live. 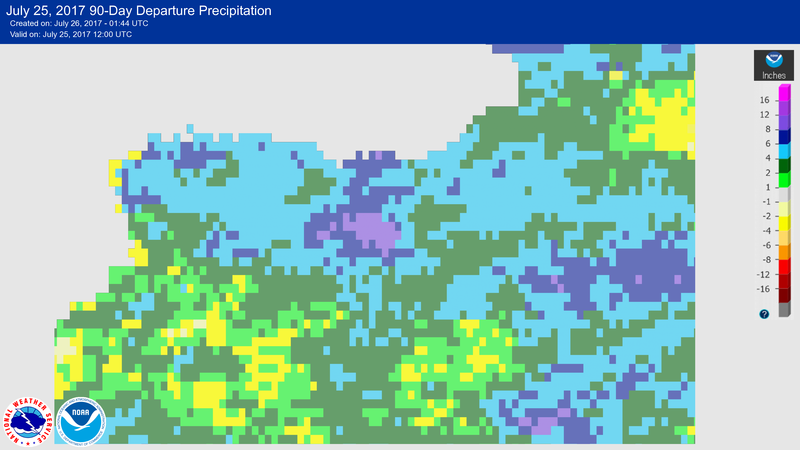 The Grey at the top is Lake Ontario and this is the highly pixelated view of rainfall as a departure from normal for Western NY. What does this mean? Very little sun and LOTS of water. The rivers are overflowing. Lake Ontario is 28 inches above its long term average even after record outflows are being sent into the St. Lawrence seaway. The massive flooding of roads and new water ponds in fields brings to mind that once, well before the glaciers carved out this amazing terrain, this area was covered with a massive in-land sea. Flash flood warnings are a nearly daily occurrence. That high level of moisture results in intensely humid days similar to the ones I grew up with in the deep south. The growers have to be totally on their game to keep the fruit clean. Downy Mildew is having a field day in vineyards which have been caught unaware. Luckily, the fruit that I work with looks clean so far. The fruit is still green and hasn’t even thought about veraison yet so the vintage can still be saved. Flash flood warnings are a nearly daily occurrence. That high level of moisture results in intensely humid days similar to the ones I grew up with in the deep south. I’m putting in my August weather order now. We need sun and heat and no more rain. The vines have plenty of water reserves to draw from and are growing like weeds. Hedging is a must but that can end up compounding the issues because of lateral shoot formation which further closes the canopy. Closed canopies can lead to further fungal infections and it all just becomes a vicious cycle. Closed canopies can also have an effect on next year’s harvest due to high levels of shading on the buds. I hope this fate is one which most if not all growers can avoid. 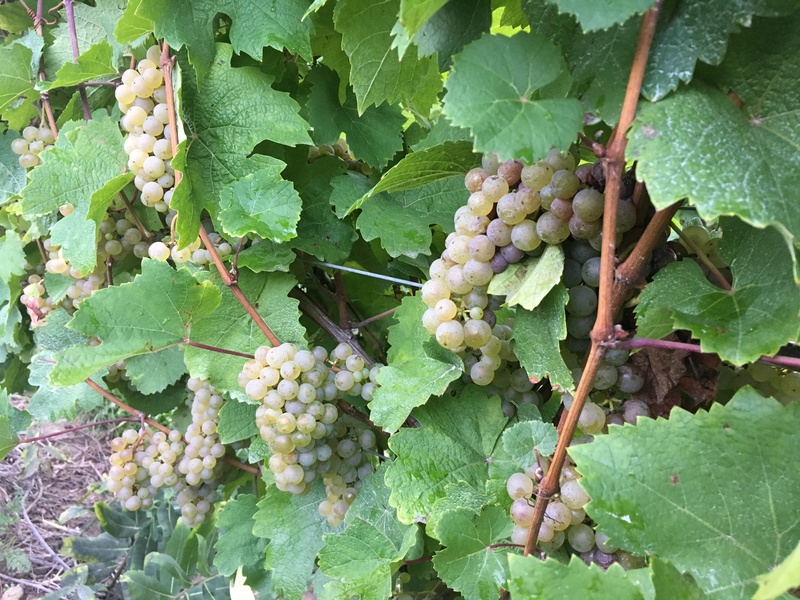 In the winery, we are a little less than a month from starting harvest for the hybrid whites. We are trying to make room in the tanks and making sure we have plenty of harvest supplies. I placed an order for more barrels today, having just located another fun red variety to add to the 240 Days line up. What is it? You’ll have to wait and see!